Dental hygiene has become quite a crucial issue for humans as a whole, but what about our pets? 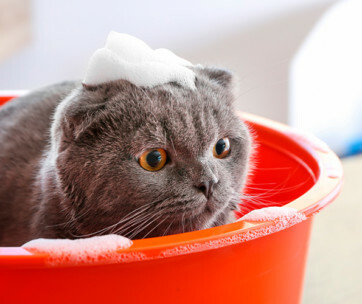 Most especially our cats who are known to self-clean and groom on a regular basis. When taking care of our pet cats, it’s vital to understand that their self-grooming in no way extends to their teeth. In fact, one of the most common issues that vets report in our feline companions is that of poor dental hygiene. The use of the best cat toothpaste is actually something that should be put at the top of your list if you are a cat owner or are in the market for one. If you are totally clueless on where to start or are still trying to get over the fact that cat toothpaste is a thing, fret not because this will be your guide to the best cat toothpaste you can purchase for your feline companion. Before we delve into the greatness of this first product which has earned it the spot of the best pick, note that it is a CET enzymatic toothpaste, which makes it already on a level of its own. The presence of this enzyme in Virbac CET enzymatic toothpaste fights against and eventually prevents the formation of plaque extensively. This will leave your pet with the freshest of breath and lead to the elimination of mouth odor as a whole. In addition to all this, the toothpaste which is manufactured by Virbac is a double threat as it has earned itself the title of one of the best toothpaste for cats and dogs. Its unique and delicious formula make it palatable to your pet so that you do not have to worry about them being opposed to the taste as a whole. More along the lines of the taste of this stellar product, it comes in five flavors that your furry little friend will find simply irresistible; there is poultry, malt, beef, seafood, and vanilla-mint. This is for pet use only and should also be used under the directives of a qualified veterinarian. The fact that it tasty may lead you to wonder whether it is safe for ingestion, the answer is yes. This cat toothpaste does not contain any foaming agents or fluoride and can be safely swallowed by your furry little friend without raising any health concerns at all. So, if your pet has been sporting some funky breath for a while now, this is surely your best and safest bet to combat that. This next enzymatic cat toothpaste has all the makings of a great dental product and did not make it onto this list of best cat toothpaste by chance. This highly affordable product is not only efficient but user-friendly as well, to corroborate this is the fact that it comes with a finger toothbrush which is great when it comes to facilitating the removal of plaque as well as food remnants in addition to massaging the gums as gently as possible. How does this particular toothbrush stand out? For one, it was actually thought out and developed by a veterinarian, so you best believe that it is the real deal. The fact that the added toothbrush is not abrasive makes it one of the most suitable options to be used on kittens. Enough about the amazing toothbrush addition, let us get to know more about this toothpaste and how efficient it is as a whole. Sentry Petrodex Dental Kit contains a hydrogen peroxide-producing enzymatic formula which aids in its overall actions but most especially helps to reduce plaque and tartar and as an extra guarantee of your furry little companion’s safety as a whole this cat toothpaste does not foam up at all and in turn does not need to be rinsed out. Here we are emphasizing on rinsing out when the issue of the cat liking the flavor of the toothpaste is just as important, the fact that this comes in a delicious malt flavor makes it easily acceptable by your furry little companion. In addition to that, when ingested it causes no harm whatsoever to its user, this additionally makes it kitten and user-friendly as a whole. The Oxyfresh pet dental gel toothpaste is definitely one of those products that are on a level of its own and definitely takes the term ‘user-friendly’ to a whole new level. The thing is that this product doubles as both a toothpaste as well as the more general pet dental care gel. This means that there is the dual option of either brushing it in like a traditional toothpaste or simply rubbing it on the gum line to achieve the same result; which is a plaque-free mouth and in extension, freshness of breath. To be frank, there is no actual brushing needed when it comes to this product and as such it is quite easy to use on both cats and dogs and despite the fact that it is so easy to apply and use Oxyfresh pet dental gel toothpaste in no way neglects its work. It does not just mask the smell but eliminates it at the source. This next top-notch product was specifically produced and scientifically fashioned to provide our furry little friends (or furless depending on their breed) with plaque and tartar free mouths with the freshest of breath and stellar dental hygiene in general. To do this, Bluestem oral care (for cats and dogs) boasts of being the only pet oral hygiene brand that contains coactive+ technology which is a compound scientifically developed to combat and facilitate the breakdown of biofilm, an enabler for harmful bacteria. They developed this formula by undergoing a stream of tests carried out in labs located in North America and the proceedings and results of the tests and studies carried out are readily made available upon request. This fact alone should increase your faith in this product as a whole. If that was not enough, then look at the fact that this brand of toothpaste is one of the safest bets on the market as all the food grade ingredients contained in it are certified xylitol free, alcohol-free, chlorhexidine-free and also sugar-free. In addition to that, they do not contain products that are detrimental to the general health of your pet such as surfactants or detergents. 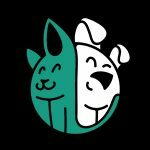 To crown it all, this chicken flavored dog and cat toothpaste comes fitted with a dual head toothbrush that is just as great a product as the toothpaste itself. This add-on allows for you to access both the inside and the outside of your pet’s teeth at the same time without causing any unwarranted discomfort. This is definitely a product to try out if you are in the market for the best cat toothpaste. 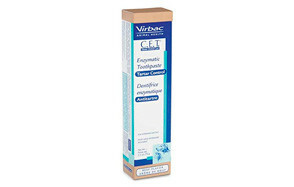 For those of you that are avid fans of CET toothpaste, here is another product fashioned solely for you. Paws and Pals pet toothpaste does not only combat oral hygiene issues such as tooth decay, mouth odor, tartar infestation, plaque as well as gum diseases, it also offers up non-stop protection for your pet’s teeth as a whole. Though it is made of a powerful cleaning formula, it is delicate when used for the oral hygiene of your feline or canine companion making it easier to restore their teeth to what they used to be before all the harmful bacteria crept in. It does all this while offering up a delicious beef flavor that will entice your pet to the point of having them look forward to the usually tedious process of having their teeth brushed. Worry not, because this actually ends up cleaning their teeth and freshening their breath up. The wonderful thing about this CET toothpaste is that it gives you and your pet’s dentist the shared responsibility of taking care of their oral hygiene. With the included toothbrush you can take the proper steps to ensure that your cat or dog sports a clean mouth while awaiting the periodical cleanings administered on them at the vets. There really is no downside to this Veterinarian approved product as it is as easy to use as well as user-friendly, your pet’s continual fresh breath and clean mouth will be all the thank you that you need. We have encountered this manufacturer earlier on in the list having established that they put out stellar pet oral hygiene products most especially in the form of their CET enzymatic toothpaste for cats and dogs. This toothpaste battles against the formation of plaque and as an extension of that eliminate bad breath as a whole. Yes, it comes in a delicious beef flavor, but fret not because though your pet will enjoy it thoroughly you will not be able to catch a whiff of the flavor. All in all, these fun and delicious flavors will have your pet looking forward to brushing their teeth and having the oral hygiene you have always wanted for them. Do you need more convincing that this is a viable option for all pet owners out there? Well, this particular brand of toothpaste comes highly recommended by veterinarians, chances are that when you visit your vet this is the exact brand that will be recommended, this is not an invitation to buy it blindly though, it is still advisable to contact your vet before making a purchase like this in order to avoid any adverse effects on your pet. Nevertheless, this is a 2.5-ounce gift that will never stop giving when it comes to the dental hygiene of your pet and should be considered when you are in the market for the best toothpaste for cats. The brushless technology has become increasingly popular in the world of oral hygiene for pets and that on its own makes ZYMOX oral care therapy dental gel one of the most viable options on the market when it comes to toothpaste for cats and dogs alike. In addition to doing the usual, which is, providing maximum enzyme contact which in turn eliminate bad breath as well as removing all plaque biofilm, its strong yet gentle formula goes a long way in relieving discomfort, soothing pain and protecting the mouth tissues and gums from dryness. That last feature makes it the go-to option for cats who are not quite attuned to drinking water. In fact, it boasts of being a veterinarian approved brand when it comes pets suffering from dryness of the mouth or thick saliva as a whole. You best believe that this product is completely safe for pet ingestion, so there is no need to fear that there will be any adverse effects when your cat swallows this user-friendly toothpaste. It is advised that to get the best out of this product one should endeavor to use it in collaboration with ZYMOX breath freshener and drinking water additive, with these two products working hand in hand there is no way your pet and you will not notice a difference for the best. This stellar product, when used on a daily basis does wonders for your pet as it boosts dental hygiene as a whole by combatting tooth and mouth illness. You can rest assured that Vetoquinol Enzadent Enzymatic Toothpaste for Cats & Dogs will totally combat to mouth odor in your pet till the point of elimination by targeting the harmful bacteria growth, which is, all in all, the root of all mouth odor. It comes in the form of a non-foaming toothpaste which eradicates the presence of food debris and plaque in order to make way for healthy, polished teeth as well as fresh breath. So, how does this toothpaste for cats and dogs achieve all this? For one, it contains a triple enzyme formula which is accountable for the clean teeth and can also be swallowed without causing any harm whatsoever to your beloved pet, so there is no need to go through the hassle of rinsing especially if you have a pet that just wants to gobble the toothpaste all up. Yes, that is highly likely since the toothpaste comes in a delicious poultry flavor, as such the manufacturers of this user-friendly product have deemed it fit to put your mind at ease. This next product comes with a kit that is specially designed for cats and you best believe it is ready to tackle all your cat-specific dental hygiene problems. At the forefront, Nylabone Advanced Oral Care dental kit makes provisions for easy, user-friendly dental and oral care as a whole. In turn, this leaves your cat with the freshest of breath as well as healthy teeth and gums. The fact that it is a kit should definitely clue you in on the fact that it comes with an accompanying toothbrush; well, it is not just any old toothbrush. The toothbrush is angled in such a way that it can easily fit into the mouth of your feline companion and reach all the plaque and debris without causing them any form of discomfort. In addition to that, the toothbrush has extremely soft nylon tips which can be used to clean in between teeth while the accompanying rubber massagers reduce the buildup of plaque and tartar as a whole. In addition to the actual toothbrush, there is a finger brush which is useful in the case that you want to have a little bit more control when choosing areas to brush. Be rest assured that the accompanying toothbrush does not do all the work, the toothpaste is also a top-notch product on its own. It is made with an ingredient known as Denta-C which is well-known for its ability to reduce plaque which is the main substance that harbors bacteria. The Maxiguard oral gel works as a cleansing gel and is quite unique because it cleanses the teeth and freshens the breath with or without any actual brushing taking place. Though it may seem like a simple product, it has quite a lot to offer you and your pet. The fact that it is veterinarian approved solidifies its standing as a dental health product as a whole. It tackles all sorts of harmful, plaque-causing bacteria and leaves your pet with a healthier mouth, the fresh breath is just the icing on the top. It is generally not harmful to your cat as it is certifiably chlorhexidine free and contains natural zinc as well as a vitamin C formula. All in all, this product comes highly recommended by vets and former users as a whole, it really is worth a try. The brand of a product really does make a difference, there are a number of companies and organizations out there that are well-known for getting it right when it comes to cat toothpaste. As a pet owner, it is wise to do your research and find out which companies out there put out stellar products. This is no issue to gamble with, more so because it involves the health of your beloved pet, as such endeavor to opt for brand names that are already known as the forerunners and dispensers of quality dental hygiene products as a whole. This is a sure way to get the inside scoop on which products are the best because as far as the manufacturers of these products are concerned, they have to say great things about the item they are putting out on the market, they need to drive sales and not just break even but come out with a profit. As much as some of them do live up to the standards set by themselves, the best way to find out the truth without experimenting is to read the reviews and find out what other users experienced when they used the same product. As sure as every human is different, best believe that every cat is different. As cat owners to an extent, you should know what is harmful and what is beneficial to the health of your pet. Seeing as this is a product that will regularly be ingested by your cat, it is wise to literally read in between the lines. Be sure to check if there are any ingredients that are harmful to cats as a whole or just your feline companion in particular. This way you do not end up making a purchase that ends up causing your cat more harm than good. If this list was arranged in order of importance this definitely would have made it to the top of the list. It is very paramount to the oral health of your cat to check with a vet before opting for this product. As you may have noticed already, there are quite a few of them out there on the market and some perform better in certain areas than others. As such, it would be wise to check with your vet so as to get a particular product that is best suited for whatever is ailing your feline companion. This may seem like an odd factor to consider, but come to think of it, this product is actually for your cat so why not consider them, their needs and behavior when picking out a product as vital as this. For instance, if you know that your feline companion is one to be fussy when it comes to sticking things in its mouth then it would be wise to opt for brands that do not involve any actual brushing. 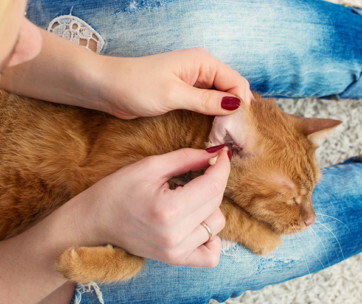 If you study and understand the habits of your cat, then the process of caring for their teeth will go as smoothly as possible. Why Does My Cat Need Toothpaste? 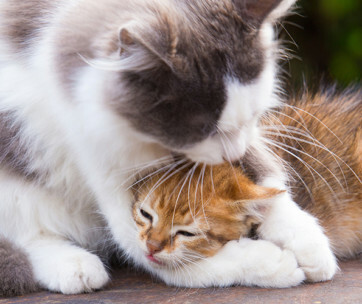 Veterinarians have been very clear on the issue, cats do need to use toothpaste, whether you are aware of it or not, cats are not meant to have stinky breath and they battle with a whole range of mouth illnesses that the layman is unaware of. Some of the food formulated for them these days is doing more harm than good to their oral hygiene as a whole and since we cannot have domesticated cats running around the neighborhood hunting for live prey it is wise to combat this harm with toothpaste. This form of cat toothpaste contains enzymes that are responsible for tackling most areas of oral hygiene problems, these enzymes are incorporated in such a way that they can be ingested by cats. This particular type of cat toothpaste works mainly with the use of two enzymes which are glucose oxidase and lactoperoxidase which act as natural antibacterial and in turn neutralize mouth odor. They are also quite tasty and usually come in a number of flavors. This is probably the most straightforward of them all as it is basically what it says it is, a cat toothpaste that comes with an accompanying toothbrush. Most times, these are the best brushes to use for your cat. Q: What is cat toothpaste? A: This is toothpaste that is specifically formulated and produced to be used by cats. Q: Which cat toothpaste ingredients are safe? A: Ingredients such as natural zinc, vitamin C, glycerine, ethanol, dicalcium phosphate, xanthan gum, silica and potassium sorbate are considered safe. Q: Can I use human toothpaste for cats? A: This one is a hard no, the presence of fluoride in human toothpaste is harmful to your cat’s health. Q: What do I do if my cat swallows cat toothpaste? A: In most cases, nothing seeing as most cat toothpaste does not contain ingredients that are harmful upon ingestion. With its delicious flavors and effective formula, this is definitely one of the best cat toothpaste presently on the market. It will leave your pet with the freshest of breath and a healthy mouth as a whole. If it is recommended for your cat, best believe that it will do a great job in combating all oral hygiene issues.